Werner is excited. Sometimes it doesn’t take much. Today it was the chirp of the Baltimore Oriel announcing it’s arrival. 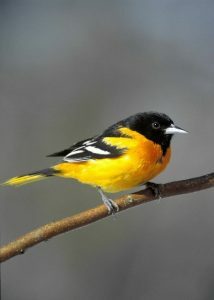 Spring is finally here and it is warm weather welcomes a host of summer birds. 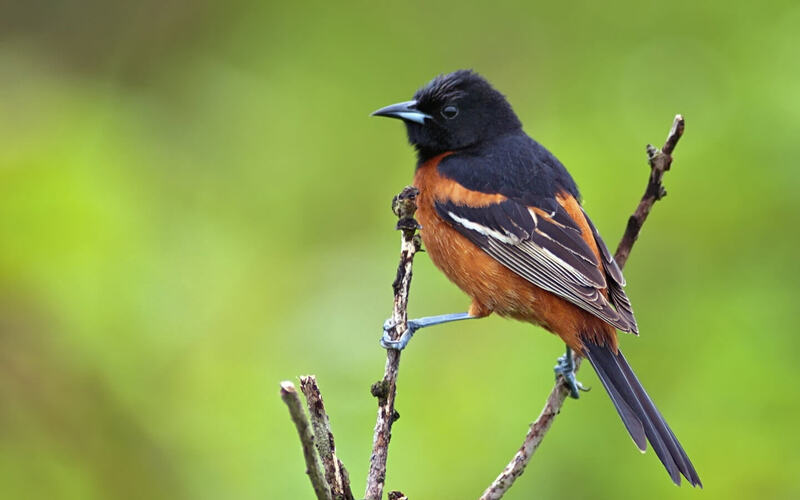 The gardens at Swiss Woods Bed and Breakfast are a welcome haven for a vast variety of birds. (See the picture of the Bald Eagle on the gardens page) This year we have a nesting bluebird male that sits along the Inn’s windows pecking at his own reflection. There is a Phoebe trying to nest above the Appenzell balcony, a futile attempt as Werner keeps moving them. The house wren’s have staked out a nesting space in the entryway and tiny Carolina Wrens are working on a nest in the dogwood tree. These are just a few of 150 bird varieties we have identified on the property. Pack your binoculars and come visit. bird watching at it’s best!